Lord Strathcona (Donald Smith) Born Donald Alexander Smith, August 6th, 1820 in Scotland, Smith moved to Canada in 1838 and began working for the Hudson’s Bay Company, eventually being promoted to the highest position in the company — Chief Commissioner. 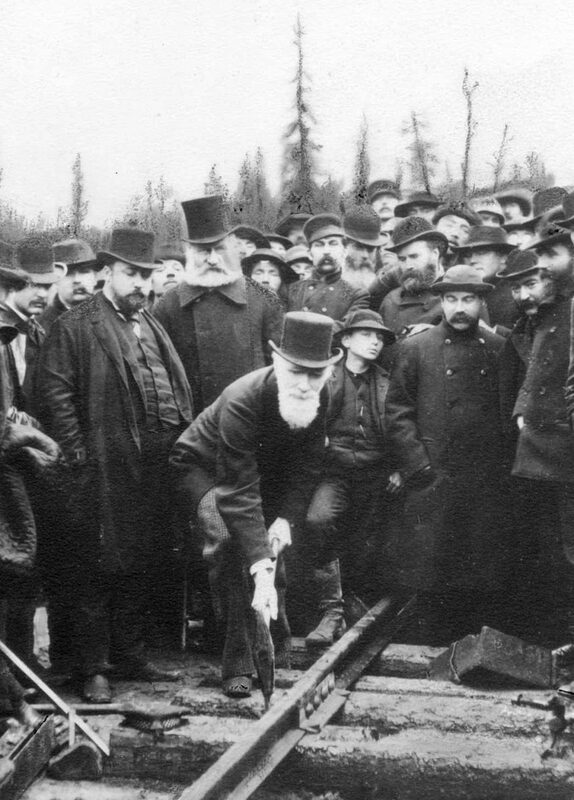 In this influential role, Smith became engaged in many other business and political ventures, including helping to make Canada one nation through the visionary plan of a railway system connecting the entire country. 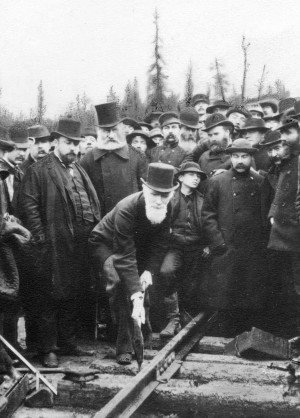 As the co-founder of the Canadian Pacific Railroad, Smith spearheaded the building of the trans-Canada railroad and drove the last spike in 1885.
and leaving generous bequests to Presbyterian College and McGill University in Montreal. There is hardly a Canadian today who has not benefited in some way from Lord Strathcona’s vision and generosity.